The chapter intends to determine if managers make use of impression management strategies to hide or obfuscate risk disclosures through the analyses of the risk information disclosed by Portuguese non-financial listed companies. 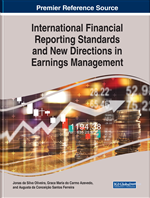 A content analysis of the management reports, notes to the financial statements, and corporate governance reports of companies listed at Euronext Lisbon, in the years 2007, 2010, and 2013 was carried out. Findings indicate that the understandability of the risk information is positively associated with the company's size. Results also indicate that there is a negative association between the readability of risk information disclosed and the company's size and industry. Portuguese companies listed at Lisbon stock exchange have to comply with the legal obligations required either by accounting standards and corporate governance recommendations issued by the Securities Market Commission. More importantly, aligned with these requirements they have to disclose, in the management report, their main risks and uncertainties. Companies are constantly subject to risks that result from their own decisions, but also from the decisions of their stakeholders. Although risk and uncertainty may be positive or negative, they tend to be perceived as negative. For this reason, sometimes the disclosure of risk information is planned in order to adopt the form considered less harmful to the company. Such planning may be justified by the fact that risk information is commerciallysensitive and therefore its reporting through the use of narratives may include specific communication strategies (such as obfuscation through the manipulation of readability), to pursue opportunistic purposes. Narrative documents are then used as vehicles to influence stakeholders’ perception on the company’s performance. These manipulation techniques of narratives are called Impression Management (IM). What is the level of readability/comprehensibility of risk information disclosed by Portuguese non-financial companies listed at Euronext Lisbon? What factors affect the level of readability/comprehensibility of risk information? The main objective of this work is to analyze the information disclosure on risk and to identify if there are IM practices and, as a secondary objective, to categorize the types of risk reported by the companies, to relate the level of disclosure (dependent variable) with factors that can influence the amount of information disclosed by the company, and to identify the communication strategies followed by the managers. To this end, the management reports, the notes to financial statements, and the corporate governance reports for 2007 of a sample of 37 Porttuguese non-finance companies will be analyzed. Findings show that risk reporting comprehensibility (readability) is associated positively (negatively) with size. In addition, the results also show that there is a negative association between risk reporting readability and company’s industry. Regarding the different risk categories disclosed, both financial risk and operational risk are those with greater level of disclosure. The present study contributes to the perceived understanding of the information disclosure on risk, namely in what concerns to the use of IM strategies. In addition, it is also the purpose of this empirical study identify which factors determine the comprehensibility and readability of risk reporting. Thus, the paper contributes to the existing literature on risk reporting and IM. To achieve our objectives the chapter is divided into four sections. In the first section, there is a literature review where the contributions of the literature on IM are evidenced. Then, the methodology is described. In a third moment, the results are discussed. Finally, the main conclusions and limitations are presented. According to Deumes (2008), managers, for the most part, attribute the word risk to various internal and external factors that affect the company's future performance. Normally, a risk is associated with a future event with negative consequences. But the risk does not have to be negative. Positive risks can also be found. Positive risk occurs when it creates opportunities, gains or creates value for the company, and according to the financial theory, namely, the financial equilibrium model, the greater is the risk, the greater is the return. Accounting Information: Information on accounting nature produced and disclosed to investors/stakeholders. Transparency: Disclosure of legal, economic, financial, and other information that is relevant for citizens to understand the use of public resources. Impression Management: Is the effort to control or influence other people's perceptions. Readability: The quality of written language that makes it easy to read and understand. Risk: Is the potential of gaining or losing something of value. Comprehensibility: The quality of comprehensible language or thought.